This volume surveys the life and work of the Scottish poet Ian Hamilton Finlay, who is best known for his extraordinary garden, Little Sparta, a unique “poem of place” in which poetry, sculpture, and horticulture intersect. This book directs sustained attention to Finlay the verbal artist, revealing the full breadth and richness of his poetics. It illuminates the evolution from his early years of composing plays, stories, and lyrical poems to his discovery of Concrete poetry and his emergence as a key figure in the international avant-garde of the 1960s. 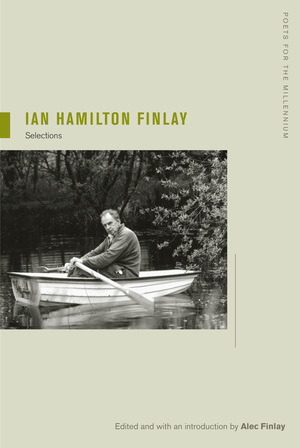 Ian Hamilton Finlay (1925-2006) was an acclaimed Scottish poet and artist. Alec Finlay is an artist and poet. So You Want to Be a Panzer Leader?